Leading Manufacturer Of Precision Electro-Mechanical Components. Over 10,000 Square Meter Production Facility. Spread Over 3 Production Units In Chandigarh, North India. An ISO 9001:2015, IATF 16949:2016, ISO 14001:2015 Company. Govt. Approved Research & Development Facilities. State-Of-The-Art Reel To Reel Selective Gold/Tin Plating Line. Latest Injection Moulding & Compression Moulding Machines. High Speed Precision Stamping Presses. Latest Testing Facilities As Per UL/CSA Norms. Approval From Leading Consultants & End Users. CPRI approved Std. Enclosure, Panels and Distribution Board (SPN/TPN). At Essen, the function of quality Assurance is not at the end of the assembly line, but at every stage of manufacture starting right from raw material procurement to the despatch of the finished product. Multi-stage inspection is a must to ensure that the products conform to various IS,JSS,BS, UL 60950, CSA and DIN standards. ISO 9001:2015, IATF 16949:2016, ISO 14001:2015 accreditation reinforces Essen's commitment to quality at all levels. Essen's expertise in providing technical solutions & problem solving has earned them a niche in the market. Many a time, customers seek Essen's expertise for developing products suited to specific applications. There are innumerable instances of such development, that have not only benefitted their buyers but which have also helped the country in saving foreign exchange. Essen's products are tested as per Joint Services Standards (JSS) at Electronic Components Standardisation Organisation (LCSO), Bangalore. These are also approved by Component Approval Centre Telecommunications (CACT), Banglore and Research Design & standards Organisation (RDSO), Lucknow for use in Telecommunications and Railways. C-DOT equipment manufacturers use a large number of Essen connectors conforming to C-DOT specifications. 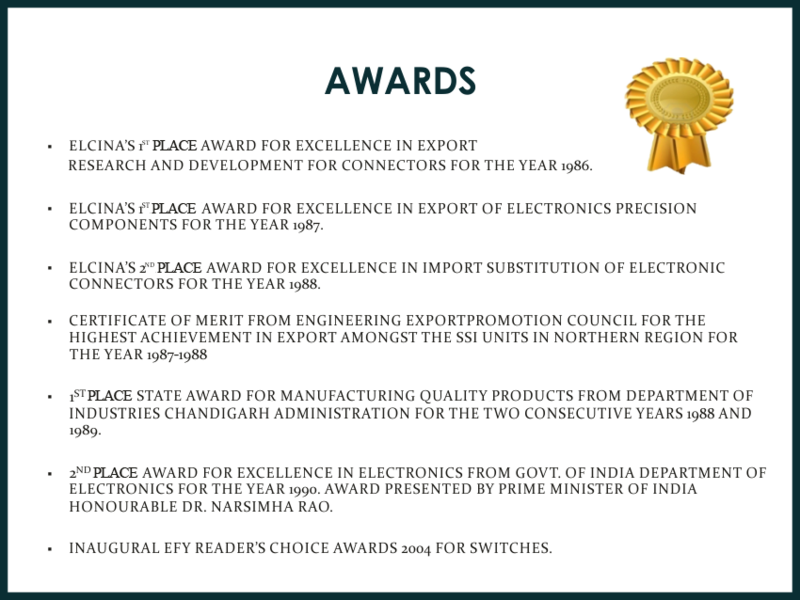 The products are also tested at ETDC & ERTL as per BS, DIN & IS Standards. 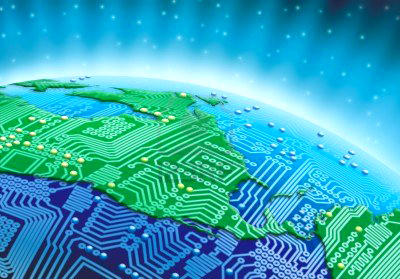 Essen's products find application in Telecommunications, Computers, Business & Office machines, Micro processor based equipment, Industrial Electronics, Defence, Avionics, Machine Tools. Power Sector, etc. The Toolroom plays a very important role in Essen's Success. Equipped with state of art machines like FANUC wire cut machine (4 nos. ), SPark Erosion machine (ELECTRONICA), AUBURG injection moulding machines(4 nos. ), Reel-to-Reel plating lines (MECO, Netherlands) and FISHER X-Ray betascope, the tool room ensures that nothing but the very best leaves the Company's premises. Products are constantly developed and upgraded using most reliable materials available. 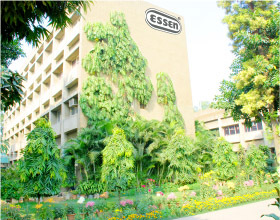 This is because of Essen's firm belief that it is the only way to measure upto the standards that it has set for itself. Electronic Connectors, IDC Headers / Box Headers, Low Profile Box Headers, Flat Cable Sockets, Transition Connectors, DIP Connectors, Strip Headers, Shunts, Female Vertical/ Right angle Connectors, D-Sub Connectors & accessories, Hoods for D-Sub Connectors, Component Supports, PCB Terminal Connectors, Headers (3.96mm), Crimp Terminal Housing,Back Panel Connectors, DIN 41612 Euro/Reverse Euro Connectors, HE-11 Connectors, Board Lock for DIN 41612 Connectors, Press fit Connectors, 4- row High Density (128/300/320 way) Connectors, Cable connector assemblies, Crimping Tools for Back Panel Connectors , Hand Press.Microswitches, Miniature Microswitches, Sub Miniature Microswitches, Micro control switches, Limit Switches, Miniature Limit Switch, Loom Switches, Relay Sockets, Terminal Strips/ Terminal Blocks, HRC Fuse Fittings, Pilot Lamp Holders, LED Module Pilot Lights (8mm, 13mm, 16mm, 19mm, 22.5mm, 25.5mm, 30.5mm & 45 mm), Push Button switches (22.5mm), Electronic Timers & its accessories, Digital Panel Meters, Digital Temperature Controller, SMPS, DIN Rail, Cable Trays, Low Voltage Electric Switchgear & Panels, Sheet Metal Fabrication & Distribution Board (SPN/TPN).